[New Year’s fireworks. 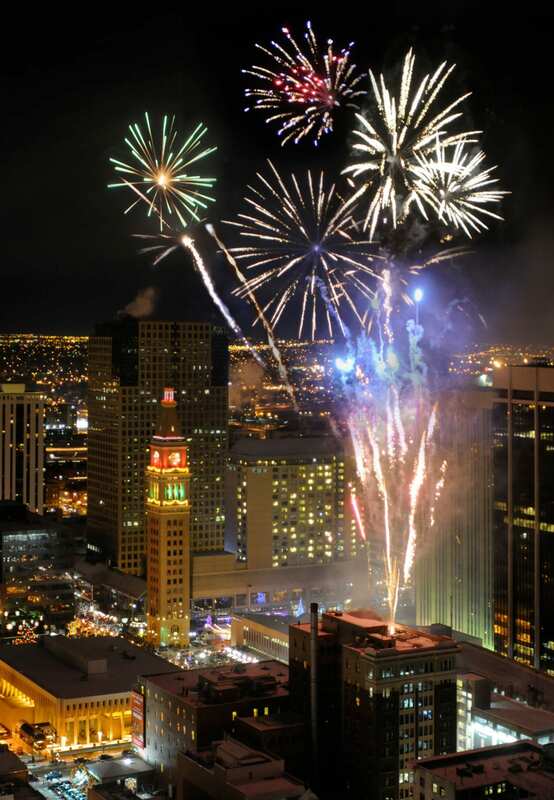 Photo: ByteForByte] The City of Denver is hosting double firework shows on the 16th Street Mall. The first one ignites at 9pm and the second show is at 12am. The show is free! It’s the fourteenth straight year for the festival, which is sponsored by the Downtown Denver Partnership, as well as co-sponsored by VISIT DENVER and the Downtown Denver Business Improvement District. 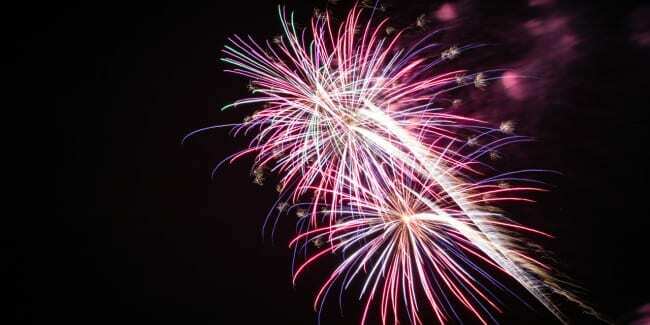 Fireworks launch simultaneously from two separate rooftops, creating one ultimate celebration, which happens twice. Come early for the 9 o’clock fireworks, then dance to live DJ’s until the clock strikes midnight, at which point the sky lights up again. If you’re can’t make the show, but are in Denver, try to gain a little elevation and enjoy the show from afar, as it radiates down the Front Range. Or tune in to your local news to watch the action. Have a happy New Year 2018! Hyatt Regency Denver’s Private New Year’s Eve Party. Photo: Larry Laszlo for The Downtown Denver Partnership.